The garden is vibrant in the summer. Plants are getting ready to flower, or have just finished flowering and need to be cut back. Vegetables are growing and so are the weeds. The garden is alive, awake, and happening. Before you get too caught up in all of the excitement, take a moment to periodically scout for pests. What classifies as a pest? Pretty much anything that disrupts the garden is a pest including weeds, insects, disease, and unwanted wildlife. To do a good job scouting for pests, you must be able to distinguish between the wanted and unwanted elements in the garden. Make sure to properly identify insects, weeds, and disease before you decide on a course of action to take. Maybe the insects you witnessed on your plants are beneficial and eating the aphids on your plants. Are the young plants you see in the garden the seeds you sowed in the spring or weeds taking over the garden? Once you have identified the problem, it’s time to decide on a mode of action. Think long term beyond immediately taking care of the problem. Why is there a problem in the first place? Is the plant under stress due to environmental conditions—not enough water, low nutrients, poor soil pH, or too much sun? Is the plant in the right place? Will fixing the problem provide a long-term solution? 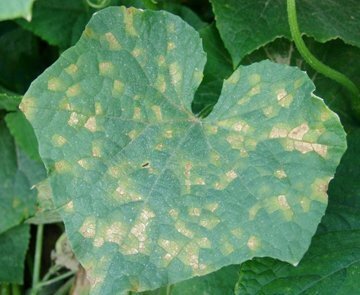 A diseased plant will still be diseased after an application of fungicide. The fungicide won’t cure the problem, so the question you sometimes have to ask is, “Is it worth it?” Sometimes the best mode of action is to remove and replace the plant with something that is disease and insect resistant. The trickiest aspect of scouting for pests relates to determining the threshold of tolerance for a known pest. Is this insect going to kill the plant if you do nothing, or can you pick them off the plant and throw them into a bucket of soapy water? If you spray a chemical, how often will you have to do this and if you don’t, what will the plant look like? It is easier to determine a threshold with vegetables since if nothing is done there probably won’t be anything to eat. Ornamental plants can tolerate a little damage depending on the pest as the sacrifice only impacts the plant’s aesthetic, which may only be temporary. Periodic scouting helps you stay in control of your garden. If you know that trouble is brewing, you have some time to do something about it before it gets out of control. Careful management will save you time and money, and keep your garden beautiful. For help identifying pests in your garden, contact an Extension Master Gardener Volunteer at [email protected] or call 919-560-0528. Michelle Wallace is a garden writer and former Horticulture Agent for the NC Cooperative Extension Service in Durham County.